Capital Maintenance Supply was recently put together and launched. We set up the site for performance, entered all products, figured out a way to estimate freight shipments and integrate this into the shopping cart, worked with BigCommerce staff on canonical and other SEO issues, configured GeoTrust SSL certificates and an eCommerce payment solution. 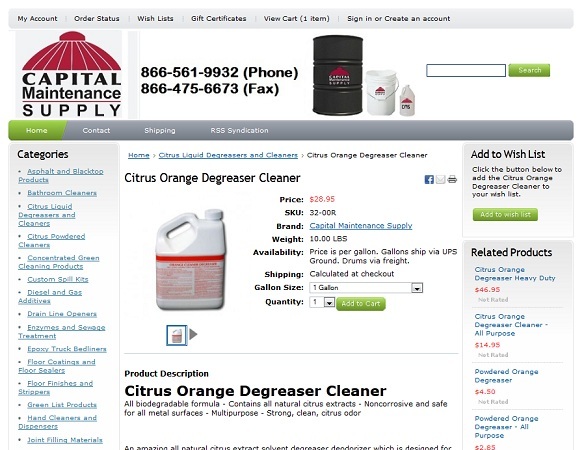 This is the Capital Maintenance Supply website. We’re closely monitoring the performance of the site. With our marketing the traffic picked up in under 60 days. We also added a small PPC campaign and several sales have been placed this week. The site went live in November and this is January’s traffic pattern.